Among the factors that TechNavio Insights identify as critical to industry growth are the availability of spatial data, increased involvement from private players, clear industry division from government work, and maturity of the industry supply chain. The report also covers some of the inhibitors that may curtail growth. The Chinese government identified GIS technology as one of the four important technologies in earth observation and navigation in their Eleventh Five Year Plan. The industry grew as a result of preparations for the 2008 Olympics game, held in China, specifically through the use of location-based services such as navigation and real-time traffic data for the efficient movement of athletes and spectators. The sector is now in a point of transition as more foreign players become involved and as government and industry invest more heavily in the technology for energy, telecommunications and infrastructure projects. 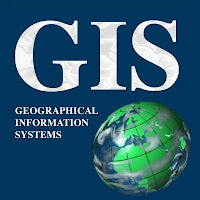 The report summarizes the size of the GIS market in China as well as its projected growth through 2012. There are profiles of key vendors both domestic and international, with details on their offerings and operations. There is also a section on market trends that summarizes some key technology directions in the sector.